The Diageo owned Mortlach distillery has had quite a distributive few years at the hands of the owners. With a cult following for its meaty character the distillery’s single malts were rebranded upmarket with lower alcohol strength, smaller bottles and fancier glassware. In an attempt to grow their brand and increase revenue from an asset they infact lost sales and reduced market share. Recently, Mortlach has been re-rebranded to be more like its old self with fullsize bottles and slightly less watering down before bottling. The bottle which caught the imagination of most was the 16 year old from a Flora and Fauna range. This piece is on the modern 16 year version which you can buy today. While the brand is clear this is not meant to be the same experience I think it is the one to try from the new line up which includes a 12 and 20 year old at £48 and £200 respectively. 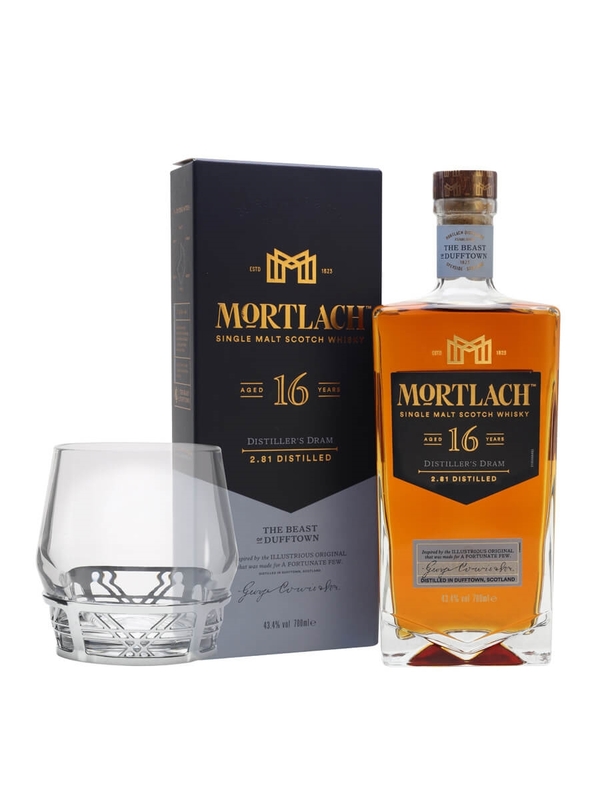 This Mortlach is exclusively ex-sherry matured and available for less than £80 in the UK. It is part of the core range of Mortlach but I can only find it in large online retailers so production numbers might be small. The bottling strength is 43.4% ABV and the colour is enhanced with artificial colouring which is standard here but still a shame. Nose – really strong notes of fresh sherry and dried fruits. Very meaty thick vapours from the glass which are intense but never harsh. A touch of clove and damp warehouses adds depth to the rich sherry high notes. Palate – The texture while thin is silky. Lots of spice and chilli heat to start with. The oak tannin’s are very pronounced. It is sticky and thick with more stewed fruits of apples, pears and raisins. More cinnamon and cloves complete the Christmas theme wonderfully. Finish – The finish is about medium length and carries off the rich sherried profile well. There is a herbal note at the very end which wasn’t in the palate which completes the whisky. Having never tried the rare old version of Mortlach I cannot compare it to that but I do rate this bottle highly. A really interesting and heavily sherried whisky with lots of meat and depth to it. At just under £80 its still a significant amount of money but I do think it tastes the money given the current market.